is a product of her New York stand up roots; frank, funny, and unapologetic. 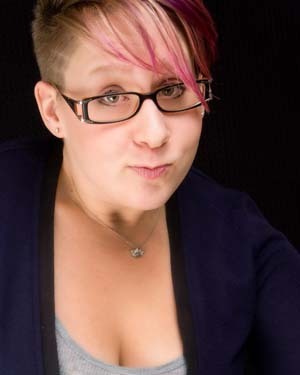 She first showed her face in the UK comedy scene when she became a finalist in the Funny Women Comedy Awards 2010 and has grown a Edinburgh Fringe following coming back yearly ever since. She moved to London in 2014 and has become a regular on the circuit. She was named “One to Watch” at Leicester Comedy festival 2017 and The List named her "Top 5 Up and Coming Female Comedians"
As the only yoga instructor/comedy in comedy Abigoliah presents her always hilarious comedy with an open heart chakra. Bringing her audience into her world with the warmth and excitement like a friend who you haven’t seen in a while. Her comedy extends past the stage as she was nominated in 2016 for a Malcom Hardee “Cunning Stunt Award” for buying an incredible amount of outside advertising and then plastering them with fake reviews poking fun at the usefulness of the critics words. She has been featured on Comedian’s Comedians Podcast with Stuart Goldsmith and Global Pillage with Deborah Francis White. She also appeared in Comedy Central’s season 2 of “I Live with Models”and has opened for Jim Norton, Kyle Kinane, and Gad Emelah.